Please check with An Comunn Gàidhealach for any amendments to prescribed pieces. 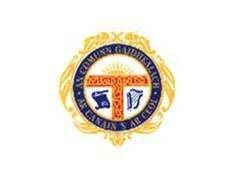 All Gaelic Medium pupils who are in P4 or above at the time of the Mòd will compete in Fluent competitions. *In the instrumental section, beginners are competitors with less than two years’ playing experience. 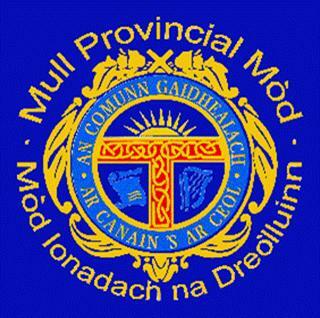 Prescribed pieces for the National Mòd may be used in Own Choice competitions. 1. Competitors must send their entries on the entry form either by email or post to the competition secretary on or before the closing date. 2. Junior competitors must be under 19 years of age on the date of the Mòd. The age limits in all sections refer to the child's age on 1 October in the year of the Mòd. 3. If a child is being educated through the medium of Gaelic, and will be in P4 or above at the time of the National Mòd, he/she must be entered in Fluent competitions. 5. Entry fees should accompany entries. 6. Own choice pieces for all competitions, including instrumental competitions, should be submitted at time of entry. 7. Where songs are not prescribed, the chosen song(s) may be submitted electronically. If submitting hard copies, three copies of the chosen song(s) and translations should be sent with the entry. In choral competitions, five copies of the songs and translations are required. However, when prescribed pieces (solo or choral) are used, there is no need to submit copies. 8. Prescribed sources of words and music must be followed. 9. Competitors and conductors are not allowed to consult books or music during their performance in any competition apart from instrumental ones. No marks will be awarded if this rule is contravened. 10. The adjudicators may at any time call upon a competitor to stop singing. 11. Adjudicators' decision is final. Any unresolved issues should be referred to the Mòd committee. 12. Choirs must consist of at least 8 voices. 13. Competitions 13 and 14 – Playlets – should be of 10 minutes duration, which includes setting up and striking. 14. Competitors who have won Competitions 62 and 63 – Learners – for two years in succession will be excluded from entering said competitions in the following year, but are encouraged to enter other solo competitions. 15. In the instrumental section, beginners are deemed to have less than two years playing experience. 16. First prize winners are expected to perform at the concert that evening. 17. Winners of trophies should return these to the Trophy Convenor (address can be found with the trophy) by 31 July, cleaned and suitably engraved. PLEASE DO NOT HAND IN TROPHIES ON THE DAY OF THE MOD. 18. If choirs fail to appear within their allotted time schedule, and have not informed the Chairperson of the competition in person, they will be permitted to sing for adjudication, but will not be marked. For any issues or queries not covered by the above, please refer to the Royal National Mòd rules.